A Vision Board is a simple but powerful visualisation tool to activate The Creation Process®*. A vision board helps you to create your dreams, plans, ideas into reality. 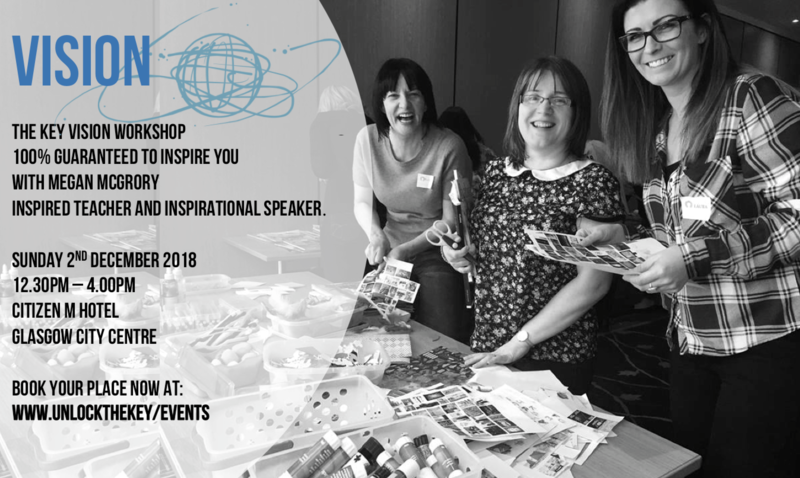 By creating a 3 hour space to discover what you really want to be, have and do in your life and by using a collection of personal, business, career, life, feel good images, you set in motion the energy and intentions required to help your dreams take shape. By creating your own unique Vision Board you will be deliberately creating the life that you want. Clear about what you want to see, have, do and be in your life. Energised to make it happen. With an understanding of how The Creation Process® influences what you create in your life. With the creative steps to making your own vision board. New likeminded people to support you to succeed. *The Creation Process is the Key’s award winning creative process which is the ‘know how’ and ‘how to’ behind what you want to create in your life. 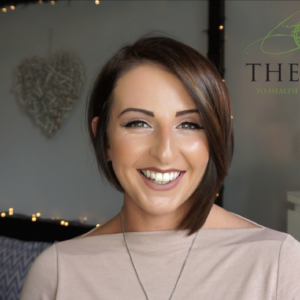 Megan has appeared on Channel 4’s For Thought TV programme and SOLD OUT the firstpersonal development events ever delivered at the Edinburgh Fringe Festival in 2016 and 2017. She has also appeared as a KEY NOTE SPEAKER in front of 450 people at the SECC arena in Glasgow and was chosen as an inspirational speaker for THE BEST YOU Exhibition inLondon 2017. Additionally she has been recently nominated as one of Scotland’s 100 ‘Positive Disruptors’. 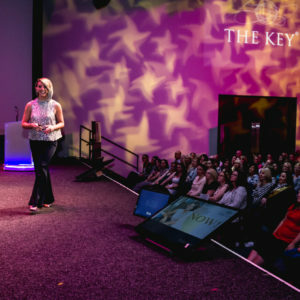 Her transformational programmes; The Key, The Key to Health and Wellbeing, FOR LIFE, Unlock Mentoring and Master Key are widely acclaimed throughout the UK as ‘beyond transformational’ and ‘Pure Creative Genius’.